for $644,000 with 3 bedrooms and 3 full baths, 2 half baths. This 4,805 square foot home was built in 2007 on a lot size of 0.94 Acre(s). 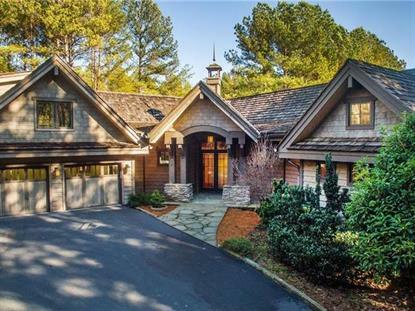 Set in a clearing just beyond the 14th green of The Reserve at Lake Keowee's Nicklaus Signature course, and with views that stretch the full length of the rolling fairway, 218 Oakmont Court offers resort-style living both inside and out. The homesite, located at the end of a quiet cul-de-sac, is well landscaped with large boulders and a variety of evergreen plantings, yet thoughtfully designed to be low maintenance. The drive encircles a central garden and water feature. The home's exterior of wavy-edge siding, stacked stone, and shake roof is topped by a decorative finial perched above the front entry.Inside, the open floor plan begins with an expansive great room, where soaring ceilings and vaulted windows overlook a corner fireplace, Australian Cypress floors, lighted art niches, abundant wood trim, and rough-hewn columns. The kitchen sets the stage for grand gatherings with a massive central island, custom glass-fronted cabinetry, and separate bar area with seating, ice maker, and beverage cooler. High-end appliances include a Dacor gas range, Miele dishwasher, GE Monogram professional refrigerator, and double ovens.In the master suite, a sitting area surrounds a two-sided fireplace; the other side is in front of a sumptuous tub set in a window-lined corner of the en-suite bath. A custom vanity topped with large vessel sinks, tiled shower, and closet with scads of wood shelving and storage complete this luxurious retreat. An impressively curved staircase leads to the lower level. Common areas include a large family room with kitchenette and built-in shelving units, as well as a temperature-controlled wine cellar with adjacent tasting room. Two bedroom suites have doors to the outside and include indulgent baths: one has an oversized shower, and the other has a roomy soaking tub. Above the garage, an immense bonus room with built-in desks and storage is the ideal office, studio, or flex space. It can be accessed from inside the garage or through a separate exterior entry. Outdoor living areas comprise a main-level deck and adjoining screened porch, as well as a lower-level terrace. 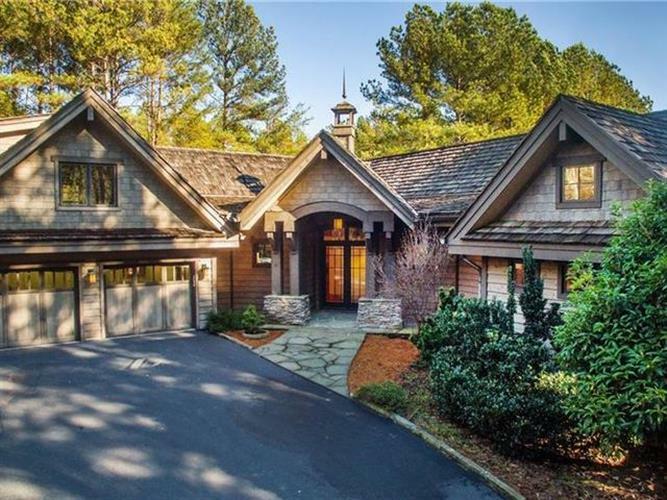 Paved and stone paths, accented by rustic wood railing, roam this must-see property. The Reserve at Lake Keowee is a community of 3, 900 preserved acres and encompasses 30 miles of shoreline along pristine Lake Keowee, a 200-slip marina, Nicklaus Signature golf course, magnificent clubhouse with fine and casual dining, Market and Village Center, pool complex, and a host of amenities. Local towns, Clemson University, and the vibrant city of Greenville are minutes away.